We have tried and tested every method available on the market, and believe we offer the most advanced and trusted methods available, including cold fusion hair extensions. These methods have been proven to not cause damage. We understand that not all methods of hair extensions are suitable for everyone. Unlike many other salons we offer a wide range of extension methods and hair types so we can tailor the perfect set of extensions, that will be kind to your natural hair, fit in with your lifestyle, needs and most importantly will look discrete and natural. We will never fit extensions on someone that we didn’t think was suitable. We will be 100% honest and truthful. We pride ourselves on our reputation and want every client to return. We offer the below application methods, each offering different benefits. Whilst we would always recommend that you discuss the best application option for you on your consultation with one of our certified stylists, this guide should give you an overview of the way they differ. Suitable for even the finest of hair types. So gentle even clients that are recovering from chemotherapy can have this method. Super tiny, neat & seamless bonds. Ultrasonic cold fusion hair extensions are a revolution in individual strand extensions. Unlike conventional methods that use heat to melt a glue bond, this method uses ultrasound technology and polymer keratin bonds. One of the newest, most modern methods on the market, very popular with celebrities and practiced in top salons all over the world. The hair extensions are tipped with a keratin polymer. Keratin is a natural protein found in human hair, it’s the strongest yet kindest, most flexible hair extension attachment available. Unlike silicone based glues which are hard to remove and can cause damage to your natural hair, keratin is easily removed by cracking the bond. It will crumble to a dust, releasing from your hair with no damage. These bonds are a similar colour to the hair extension and will be virtually undetectable. The bonds can be trimmed prior to fitting to tailor to the exact size and density of each strand of each client. This is essential for ensuring your bonds are undetectable around your hair line and crown. How well you follow aftercare advice. Only one maintenance appointment is normally required at 3 months. The keratin bond is designed to last up to 6 months, at which point they will start breaking down and need removing. You can then send hair off to be re-tipped and get same hair re-fitted, thus saving money for second application. One of the most popular methods. Lost bonds can be re-fitted during maintenance without the need to re-tip. Perfect for clients that have more natural hair shedding. Mini locks are applied by having small sections your natural hair gently pulled through the top of the mini lock, pre bonded hair extensions (Stick tip, like a grain of rice) are then pushed through the bottom the mini lock and clamped shut holding the hair extension securely in place. The Hair Extensions are applied individually, strand by strand along neat partings made throughout your natural hair. How quickly your natural hair grows. How much your natural hair sheds. How well you maintain your extensions. Maintenance is recommended every 6-8 weeks. Here we can re-fit any lost strands, remove and replace any that are sliding, re-cut and style, making hair feel perfect. The bond that holds the hair extension together is designed to last up to 6 months, at which point it will start to break down. This is when we would recommend you to have your extensions removed. 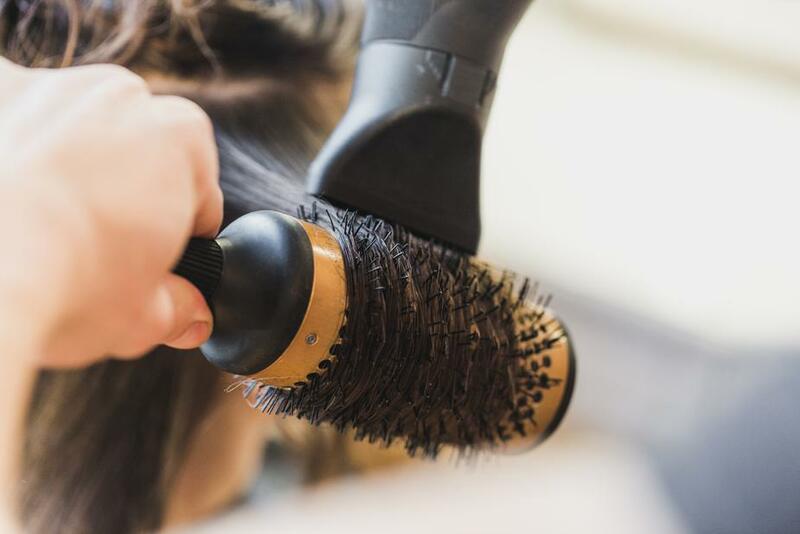 Hair can then be sent off and re-tipped and re applied, therefore the second fitting would only require a fitting charge as you will already have the hair. Removal of Mini locks is super quick. Using special Mini lock pliers to pinch the lock open, realising the extension from your natural hair. Perfect for creating super thick long glamorous lengths. Best suited for clients that have a nice thickness and length round front of face. The LA Weave is a fantastic method of attachment and is a much improved alternative to the old fashioned braided weave. The LA Weave is applied using micro rings to create a track in a straight neat line, the weft is then cut to size and sewn along the track of micro rings. This method sits very flat to your head and is very comfortable to wear. The LA Weave feels very similar to clip ins but of course don’t come out. LA Weave will last 8-10 weeks with no maintenance required. After this time frame clients are advised to return for a removal and refit of the same hair. This can be done time and time again. So we recommend buying a good quality hair that you can reuse for a year plus, this will save you so much money in the long run. Removal is super quick. The thread is cut, releasing the weft, then pliers are used to squeeze rings open, sliding out gently from your natural hair. Clip ins are a great option of creating length and thickness to your natural hair. The great thing about clip in hair extensions is that they clip in and out. This means you can mix up your style as often as you like. You can have a shorter, quick to manage style during the week for work or the gym, then come the weekend in with the extensions and within minutes you’ve got long flowing locks. They are a great way to add instant length and thickness. Perfect for creating a special style for a party or a night out but not wanting a permanent change. As long as you follow a few basic rules, clip ins can look completely natural. Always buy your clip ins from a professional salon. They will be able to colour match to your natural hair so they blend seamlessly. 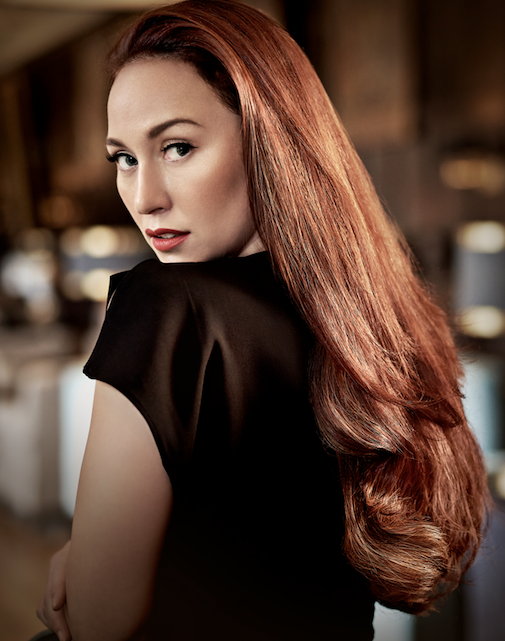 Once you have your extensions, make a appointment at the salon to have your hair trimmed with the extensions in place. Again thus is really important in creating a natural look as your stylist will blend your extensions and natural hair together. If after a few months, you want to change your hair colour, as long as you have chosen 100% human hair and not synthetic, then you will be able to colour them. Once your extensions are cut into your natural hair, you can style how ever you choose with tongs, curling tools or straighteners and hair dryers. Unless you have chosen synthetic hair, then you will not be able to apply heat. There’s no denying that hair extensions are expensive. But if you don’t want to wear them all the time, clip ins do offer a more cost effective option. Having said this, do go for the best quality you can afford and steer clear from synthetic extensions. Using the best quality hair extensions will save you money in the long run, and make your experience of wearing them so much more enjoyable. Clip in extensions are not designed to wear all the time. And because you’re only be wearing them occasionally they will only need washing occasionally. Always remove extensions before washing them and make sure to wash them with a sulphate free shampoo and conditioner from your salon, because lots of shampoos can damage hair extensions. No in salon maintenance required. 1: Cost– Application time is the quickest out of all the methods, thus keeping costs down. 2: Low maintenance – due to their thin construction and 1.5inch width. It is one of the easiest methods to maintain. Most clients actually forgot they are wearing tapes until their maintenance appointment.when they need to be moved back up between 8-12 weeks. 3. No damage – So light weight and do not pull on your own hair. 4: Reusable – Reusable for up to a year or 3-4 applications if cared for correctly. Been able to re use your extensions is such a benefit especially if you have had them customised with cut and colour. To save costs you can re tape your own extensions and bring to salon for re fit or we can do this for you if preferred. Tapes are especially good for woman who have never previously worn hair extensions, they are very easy to manage. To apply tape extensions we section your hair into neat rows. Using a tail comb we weave a section of your hair about an inch long (like putting in foils) and place one side of the tape under your hair, holding your natural over and pushing down, the next section of tape is placed on top a squeezed together to secure the tab. We then repeat this process. Tapes will be place discreetly so you will be able to tie your hair up and style as normal. We will then cut and style to create your desired look. We recommend removal and refit every 8-10 weeks, some clients do manage to get longer then this, if their natural hair grows and sheds less then the average rate. To remove tape extensions we use an oil & alcohol spray which will loosen the tape so they will slide away from your natural hair. To re tape them the old tape needs peeling off, then extensions must be washed thoroughly making sure any oil has been removed. Extensions are then dried and new tabs attached, ready for refit. View our pricing options for tape hair extensions here. The cutting of your hair extensions is as important as the application it’s self. Only fully qualified and experienced Hair Extension specialists are able to deliver this whole package. Cutting Hair Extensions is an entirely different skill to cutting natural hair. All our stylists will give you expert cutting and blending of your hair extensions and natural hair, creating gorgeous natural flowing hair, that can be easily maintained at home. We will then style your hair to a desired look, leaving you feeling like a princess.